This is such a nice chain. 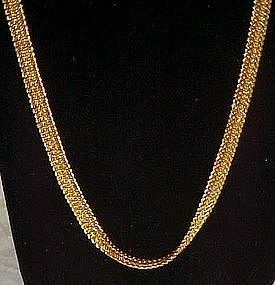 Large herringbone chain lays so nicely. Just like new! Lobster claw clasp. Metal tag says B.C. Lind 14k G.F. Measures 3/16" wide and is 22" including clasp. Shiny and bright! !